There are three types of rock—igneous, metamorphic and sedimentary. Sedimentary rocks form from the weathering, erosion, transportation and deposition of older rocks. Applied Sedimentology describes the formation, transportation and deposition of sediment, and the post-depositional processes that change soft sediment into sedimentary rock. Sedimentary rocks include sandstones, limestones and mudstones. All the world's coal, most of its water and fossil fuels, and many mineral deposits occur in sedimentary rocks. 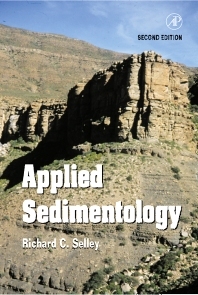 Applied Sedimentology shows how the study of sediments aids the exploration for and exploitation of natural resources, including water, ores and hydrocarbons. Senior undergraduate and graduate geology students in sedimentology, petroleum geology, petroleum engineering, mining geology, hydrogeology, mineral exploration, and environmental geology; oil company geologists and reservoir engineers and mining companies. Preface. Introduction. Rock to Sediment: Weathering and the Sedimentary Cycle. Particles, Pores, and Permeability. Sediment Sedimented: Transportation and Sedimentation. Sedimentary Structures. Depositional Systems. Sediment to Rock: The Subsurface Environment. Allochthonous Sediments. Authochthonous Sediments. Sedimentary Basins. Subject Index. About the Author. Richard Selley é pesquisador sênior associado e professor emérito de Geologia do Petróleo na Imperial College, Londres.